Hey wait, did you catch that? 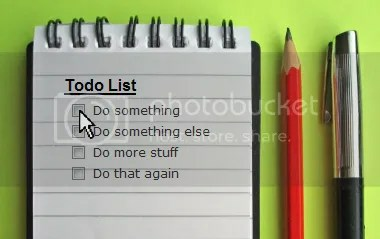 I just √ED off an item on my to-do list FOR-EV-A! Unlike the laundry which will never be finished or the crumb piles that will only reappear five minutes after I’ve cleaned them up, my son will never again require me to re-home school him (okay I will probably have to remind him of his manners and to pick up his wet towels, but that’s a different kinda schoolin’). That’s right, I’m doing the happy dance now that my numero uno son has completed his last assignment, making him a high school graduate. It seems like just yesterday that little Pierce, in his adorable mushroom cut, was seated across the kitchen table with #2 pencil in hand. “Ssss, snake, ssss…what letter says ssss?” I was asking. Number families were neatly chalked on the hand-painted, wall blackboard and card stock Rembrandts covered the fridge. From ABC’s and 123’s to algebra and biology, I watched him stretch and grow in stature and wisdom throughout these last thirteen years. This was the child that taught me to correct in blue ink (to his young perfectionist mind red pen was like the matador’s cape). He was the gifted artist who scrapped beautiful pictures if the proportions weren’t to his liking. The first (not the last) to reduce me to tears during our first reading lessons, he went on to devour books as a teen (no, not literally, he only bit board books as a toddler). My son #1 has music in his heart, so he taught himself to play the organ and then the piano. While he may not have ever been the quickest player on the soccer field, he easily ascended the ranks in Civil Air Patrol. Our home schooling years are like postcards in my memory. Okay, some of those postcards might be stamped from LaLaLand when I recall my yellow, school bus daydreams. Those are home school mom fantasies wherein you place your beloved, hard-headed learner on the magic yellow bus and then float back into the house to commence leisurely eating your secret cookies right in the middle of your tidy living room (as opposed to stuffing one in your mouth while hiding behind a cabinet door hoping no one will sniff you out). Then you watch some mindless talk show on the fingerprint-less TV screen and talk uninterrupted on the phone for a whole hour. Yeah, I admit it, I even threatened to send him to “school” a time or two figuring he’d return home ever grateful for my sacrificial time and attention. In my estimation, he would return home (after a 7am to 4pm day, heavily laden with a ten pound backpack stuffed full of homework) uttering words of thanksgiving for his former home schooling routine and begging to be home again in the pleasant company of his siblings. I had those days occasionally, but all in all our years together at the school table were a great blessing. Every milestone achieved, every lesson learned, every concept internalized, I was lucky enough to witness. And for all of the education he received, I learned right along with him. Indeed my rusty algebra was renewed and I can diagram sentences again, but even more importantly I was schooled in patience, compassion, perseverance, honesty, integrity, forgiveness and charity. Home schooling is about providing kids the tools to become life-long learners, who know how and where to find answers to their questions and solutions to their problems. In the beginning, people asked me how I would make sure my son didn’t miss anything. When high school drew close that “anything” became how could I teach him subjects that I was lacking in. Staying the course in my vocation, I discovered the reply to that inquiry just about the time they stopped asking. He wasn’t constrained by me anymore than Einstein was constrained by his mother. So today I am reaching around to give myself a well-earned pat on the back. Looking at my handsome, intelligent, artistic son who serves on the altar, holds down a part-time job, leads in his CAP squadron, delights his baby brother and fills our home with melodies, I know we succeeded at forming a whole person capable of extraordinary things. That’s one goal down and just 7 more (kids) to go. 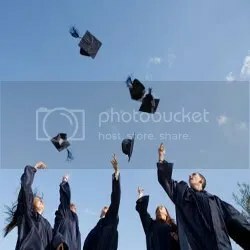 This entry was posted in education, graduation, home school success, Home schooling, parenting on April 23, 2014 by Tara K. E. Brelinsky.